In Q4, 31% of respondents in the surveyed area said their expected aircraft utilization had decreased, which has risen for three consecutive quarters. 49% of respondents said their aircraft utilization has increased, which is an 11% decline compared with last quarter. * An Optimistic-Pessimistic Signal Line has been added to regional aircraft usage trend analyses for Greater China, Oceania and South and East Asia regions. An optimistic mood is derived from more people indicating ‘higher’ aircraft utilization compared with 12 months ago, while a pessimistic mood is derived from more people indicating ‘lower’ aircraft utilization compared with 12 months ago. 33% of respondents indicated their aircraft utilization in 2018 Q4 increased, which is the lowest level recorded. 43% of respondents stated their aircraft utilization has decreased compared with 12 months ago, which is a similar level compared with previous quarters’ result. 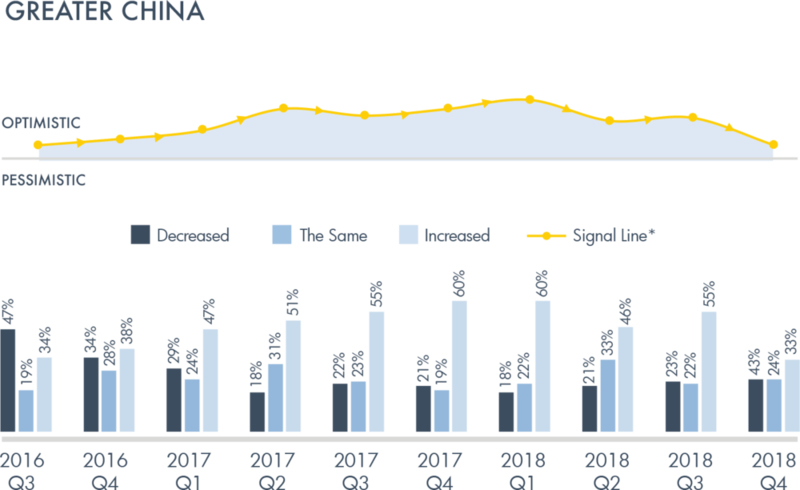 Based on survey results for Q4, an assumption can be made that the ongoi/ng US-China trade conflict has affected the aircraft utilization of Greater China. 45% of respondents have indicated their aircraft utilization increased, a 10% decline from 2018 Q3. 30% of respondents indicated their aircraft utilization decreased, 4% higher than the previous quarter. Higher aircraft utilization may be reflective of respondent’s higher economic optimism. In 2018 Q4, 56% of respondents recorded increased aircraft utilization, which is 8% lower compared with 2018 Q3. 25% of respondents believe that their aircraft utilization decreased, which is 11% higher compared with the previous quarter and continued increase since 2018 Q2. 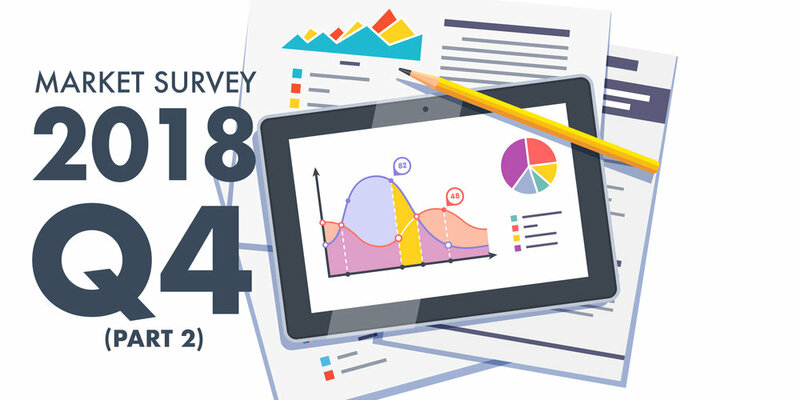 In Q4’s market survey, ASG recorded over 60 rankings from the Asia-Pacific region regarding the satisfaction factors of management companies and those of charter brokers. Over 200 respondents answered questions regarding end users’ travel behaviours. Similarly, compared to previous quarters, when asking “Do you or your client own or charter a private aircraft?”, 12% of respondents only charter an aircraft, while 39% just own a private aircraft. The remaining 49% would both own and charter an aircraft, implying that to charter an aircraft is reasonable for those who already own one. 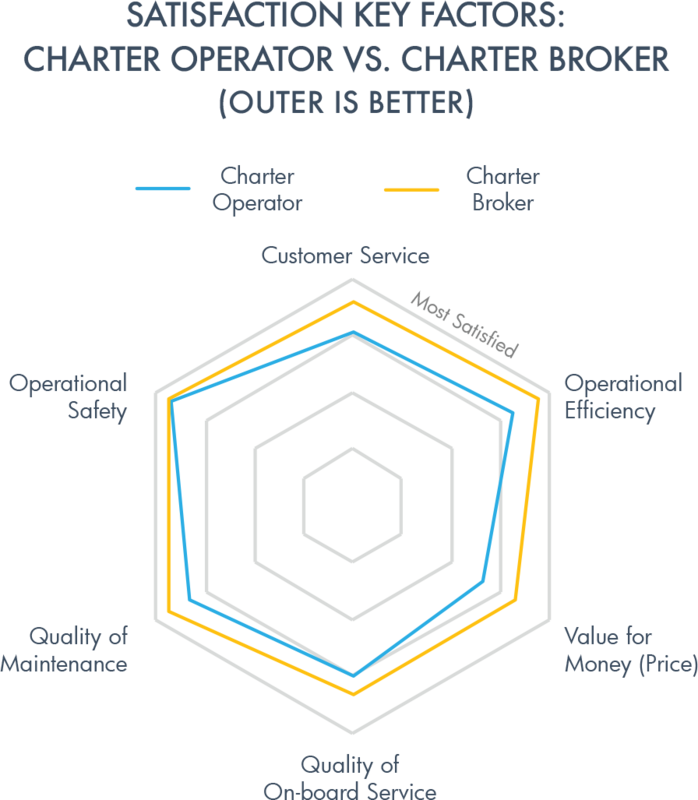 On the charter operator / broker side, when asking the primary choice when chartering an aircraft, 80% of respondents would contact a charter operator first.